- Edition : Architectural Review, November 2013. 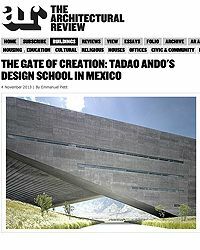 The building in Monterrey shows again that Ando has entered a new phase in his work in the past decade or so. This newness is related to the passage from his earlier compositional design techniques based on the planimetric clustering of pure and uncorrupted geometric shapes, towards an architecture of synthetic and intricate spatial form. Projects such as the Church in Shimukappu, the Children's Museum in Himeji, and the Museum of Literature in Himeji were largely based on the analytical assemblage of primary forms in plan, which are then extruded into space. As such, they were partly aligned with the spatial ideology of a larger (postmodern) culture of architecture in the 1970-90s, which did not think of buildings as discrete objects but as complex collages similar to miniature cities. The building in Monterrey, however, is atypically monolithic and compact, as well as sculptural. Its diagram is sectional rather than planimetric in that it bridges over a public space and further produces a complex sectional stacking of shared outside spaces throughout the building’s center. Monterrey has its share of buildings which frame public spaces: downtown, the Teatro de la Ciudad, the Congreso del Estado, the Biblioteca Central del Estado, and the Palacio de Justicia all extend their architectural framework out into the urban space which then gets articulated three-dimensionally. This is one of the ways public buildings in Mexico ensure a shaded micro-ecology in their immediate proximity. Ando’s building also searches to define a public space but goes further than these downtown buildings by becoming a volumetric “gate” which submerges the pedestrian into a completely covered “urban interior” below the building. This too is a new aspect of Ando’s work, with which he has experimented lately: his Maritime Museum on Abu Dhabi’s Saadiyat Island conceived a year before the Monterrey building, in 2006, brings into play a similar image and form of a cave-like hyperbolic opening carved diagonally through a rectangular mass. And for his more recent entry for the new Deichman Library and Munch Museum competition in Oslo, in 2009, Ando presented “Art Wave” — a heavy, circular mass which is cantilevered over a publicly accessible ground, and that touches the ground in three points. Ando’s doppelganger edifices beg the question about the provenance and global portability of this image: in fact, he has been experimenting with a specific category of urban structure that has gained currency in the architectural culture of the last decade: the “gate” has reemerged as a recent addition to the collection of urban icons in cities all over the globe. An immersive urban monument, the gate substitutes for the more conventional vertical spire or iconic tower — one of the paramount “modern” urban building types throughout the 19th and 20th centuries. One can agree with Rem Koolhaas when he declared in the context of his winning design for the headquarters in Beijing for China Central Television (CCTV) in 2002 that the tower type has been “negated by repetitive banality,” and is now often serving a bland corporate monumentality. But unlike towers, gate structures are for the most part more than simple beacons to be viewed from the surrounding city. They simultaneous absorb the double function of providing an iconic building for the city, on the one hand, as well as framing an urban “interior” or “terminal” in the endlessly expanding networks of 21st century cities, on the other. - Edition : Anyone corporation, Fall 2013: 25-32. 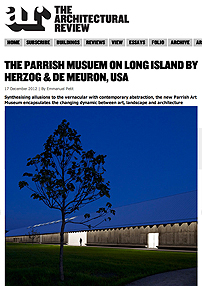 In a roughly two-decade-long attempt by architects to distance themselves from some of the shortcomings of architectural postmodernism and its principal urban paradigm, the centerless labyrinth, architects have grown increasingly suspicious of the notion of “form” as understood in the 1970s and ’80s for fear of its metaphysical charge. Architects now worry that form will displace the focus from the physical artifact of architecture to the design process, history, and discourse about it, and reentangle architectural ideas in a dense maze of “theory.” No doubt theory was the central engine of the postmodern in architecture, while form became the locus of articulation and encryption of all the meanings and paradoxes that the architect wished to express. Yet, today theory seems to be largely perceived as arcane and unproductive. This was the key argument in the so-called postcritical debate in architecture prompted by R.E. Somol and Sarah Whiting, who hoped to congregate accomplices for an architecture résonnante instead of new audiences for an architecture parlante. Somol’s brief manifesto “12 Reasons to Get Back into Shape”– where he suggests that the complications of form can be replaced with the illicit, easy, expendable, graphic, adaptable, arbitrary, and cool nature of shape – was one such attempt to get away from the gravity of postmodern and poststructuralist metaphysics. With this polemic for a “performative” paradigm, Somol wanted to supercede John Hejduk as one of the extreme apologists of the idea that architectural form referenced a transcendental and allegorical realm of thinking beyond physical presence, like the mythology of angels. While the critique is pertinent, the baby was thrown out with the bathwater. Notwithstanding Somol’s seemingly wholesale dismissal of articulate form in architecture, one can perceive throughout the interdisciplinary concepts of contemporary space (from architecture, to art, to philosophy) a shared effort to overcome the “truly glacial” approach of poststructuralist theories; the interest emerged to disarticulate form and sublimate it into ambience and atmosphere, where form acquires a new psychological and cultural role based on the reconstruction of the notions of centrality and synthesis. Diller Scofidio’s Blur Building from 2002, Tomás Saraceno’s In Orbit installation from 2013, and Peter Sloterdijk’s Spheres trilogy (1998, 1999, 2004) all participate in a similar project of defining a gravitational space over the articulate, analytical, and labyrinthian forms of postmodern architecture, whose sole access was a conceptual one, and whose poststructuralist subject was not made up of flesh and blood, but of constructed texts (fig. 3). Navigating these new spaces is closer to orbiting a series of atmospheric centers of attraction than to following Ariadne’s thread through textual labyrinths. In order to eschew the analytic-intellectual attention to metaphysics in favor of synthetic effects produced by gravitational space, a new consciousness of space has emerged since the mid-1990s, as well as a new relationship between form and theory. 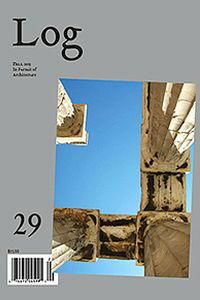 While the architecture of the past two decades has almost exclusively been theorized with a view to the new technologies of design and fabrication, virtually no one has thematized the new space-time-ambience conception, for which the notions of the sublime, the volumetric, and the immanent are pivotal. I have addressed the two former characteristics in previous texts, and will thus concentrate here on the latter. 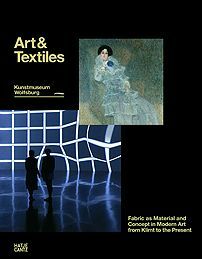 - Edition : Edited by Markus Brüderlin; October 2013, p. 80-87. Die Architektur ist weicher geworden in den letzten eineinhalb Jahrzehnten, von der Anmutung wie vom Konzept. Glatte und verschlungene Formen lösen das Prinzip der Fragmentierung, das ein Gutteil der Moderne und Postmoderne geprägt hat, zunehmend ab: Die freie Semantik und Ästhetik einer der wichtigsten Erfindungen in der Kunst und Architektur des 20. Jahrhunderts – der Collage – hat zu einer neuen Formenlogik geführt, die einer bruchlosen Kontinuität und Verbindungsfähigkeit den Vorzug vor dem unvermittelten Aufeinanderprallen unvereinbarer Systeme gibt. Zusätzlich zu den weichen Formen sind ornamentale Flächen als digitale Aktualisierung der Beschreibung der Erscheinungsformen textiler Webkunst ins Vokabular der Architektur zurückgekehrt. Dieses neue architektonische Formenlexikon ist nur die sichtbare Spitze eines »metaphysisch« zu nennenden Eisbergs, der sich unter den veränderten Voraussetzungen des Faches wandelt. genannt wurde – bis hinein in die Gegenwart. Ich nehme mir drei Momente der jüngsten Architekturgeschichte vor, um die Vielfalt der Aspekte zu illustrieren: die »revolutionären« 1960er-Jahre, die »textuellen« 1980er-Jahre und das »parametrische« Jahrzehnt nach der Jahrtausendwende. Ungeachtet signifikanter konzeptueller Unterschiede ist der gemeinsame Faden, der diese architekturhistorischen Dekaden in Bezug auf das Leitmotiv textiler Webkunst verbindet, die Vorstellung, die Struktur selbst enthalte den Formencode für die Architektur; damit ist der Architekt nicht mehr Urheber, sondern wird zum Geburtshelfer. - Edition : Architectural Review, September 2013. Turrell chose to obstruct the visual dialogue between the temporary installation’s discrete oval rings and the soaring spiral of Wright’s exhibition path. While Wright had reinvented the notion of a central dome by making its concave space accessible to the kinetic and visual experience of the museum visitor, Turrell reverts to the conventional idea of a distant sky-bound dome “up there,” sitting on top of a centralized, architectural space. Somehow, in this specific work, the concept of visual Ganzfeld only applies to the framed field of the elliptic cupola, but excludes the architectural space “down here” which the visitor inhabits. The view to the atrium from the winding ramps of the museum is closed off by Turrell with more opaque fabric, and these surfaces do not participate in the shifting light and color play of the main space. Aten Reign has no backside. 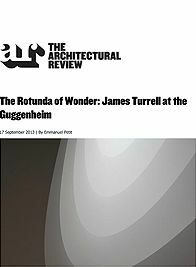 It appears as if the Turrell show at the Guggenheim is yet another chapter in the controversy about art exhibits in generic white cube galleries versus signature architecture museums. 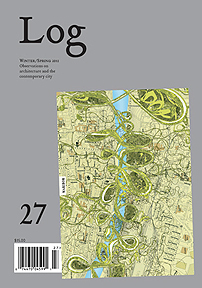 - Edition : CLOG Sci-Fi, 2013, 114-15.
one — While the philosophies of the ‘round’ and the ‘spherical’ (from Plato to Alberti, and from Bachelard to Sloterdijk) are often inscribed in the trajectory of humanism, the sphere has a more subversive and radical history in architecture as a device of detachment and artificiality. The City of Spheres is futuristic, ultramodern, and ultraliberal. two — The grid and the sphere are the two extreme spatial paradigms of modernity. While the Western cities have mostly been built on the democratic and pragmatic possibilities of the grid (and the labyrinth), the neoliberal cities of the East are the architectural analogue of Blogospheres or private clubs. three — The traditional and modern cities have become increasingly expansive and fragmented with no ‘there’ there. The City of Spheres restructures the city in terms of centralized, ‘inside’ spaces — interior to architecture and interior to choice identities. four — Spheres are largely autonomous from their surroundings and will affix to any context. They are local oases to escape the continuum of the city. five — World fairs are petri dishes for the City of Spheres; the City of Spheres is spectacular and liquid: it is a witty ‘event’ commenting on the traditional city. Your Chengdu project is based on the rationalist and traditional urban typology of a perimeter block, which is then, however, sliced by a series of expressive cuts which fragment the initial diagram. In the Porosity Block, the light does the slicing, and so does the building code! In fact the cuts assure that every part of the block and the context get maximum light exposure — which is regulated by the local building code. But it is true that poetry is the most important part of my life. And I loved Aldo. We became friends; I met him in his studio in Milan around 1979. He was a poet. There is a sense of the ineffable in some of his early work. Just look at those black shadows in his drawings! But when I made a pilgrimage to his Gallatarese and his Modena cemetery projects, I was disappointed, because he cared more about his ideas than about the actual construction. That is why Scarpa, to me, is ultimately more important. He was one of the great architects. There is a lot of emotional intensity in his work, and you can always go back to his architecture and see something new. 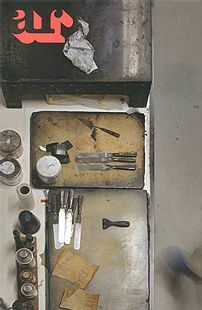 He has a great sense of materiality and an understanding of detail vis-a-vis how things are made. And the tectonic joint is so important to Scarpa. And for sure Hejduk was an enormous influence — he was a great man. Poetry is at the heart of architecture. I was mesmerized with John; he was so important to me. Especially his Half-House and the Wall Houses: they were incredible things to me. And Le Corbusier cannot stay unmentioned. Especially his La Tourette monastery. I stayed there four times in some of the monk cells. I think it is his greatest work. I also like Ronchamp, and I like the church he did with José Oubrerie: those three works contain the most subjective impulse of Le Corbusier. In those three works, you can see many dimensions, and there is always this ineffable space. I never tire of going back. You describe yourself as a phenomenologist; you refer a lot to Maurice Merleau-Ponty — the philosopher who published Phenomenology of Perception in 1945. Can an architectural phenomenon ever speak for itself? No. I definitely believe in ideas driving a design, and that makes me different from any of the other people, who pretend to be phenomenologists. I am very different from them: you must have an idea to drive a design. I am much closer to Peter Eisenman or Zaha Hadid than I am to Zumthor. Le Corbusier always had an idea; and so did Louis Kahn. That’s for me enormously important. I also believe that you don’t need to know what that idea is to appreciate a building. I agree with Ludwig Wittgenstein, when he said that there is no such thing as phenomenology, but only phenomenological questions. Wittgenstein said that ideas are like ladders: they get us to a platform, and when we arrive there, we can kick the ladder away. I think that is really a great statement. In Wittgenstein, every statement is a question. Remarks on Color is a book on all kinds of questions. I think the time we live in now is so full of change, and that you cannot have a philosophical position in such a situation in which change is so dramatically unpredictable. This is particularly the case in China. So all you can hope to do is to ask questions; and that is what Wittgenstein did. - Edition : Anyone corporation, Winter/Spring 2013: 10-20. Architecture has actively engaged with the metamorphosed phenomenology of the sublime and has already developed new rhetorical, aesthetic, and ethical responses to these changes. In this context, a new type of project for architecture is in the making, and it still has to find its ethical mission. A recent example is MVRDV's contribution to Nicholas Sarkozy's Grand Paris challenge in 2008, which was to be "the most ambitious [intervention in the city] since Baron Haussmann changed the face of the French capital." In a seven-minute film, the Dutch architects propose different interventions in discrete locations in and around Paris. The various interventions are introduced narratively, but the initial frames of the film present a giant cube that levitates above the capital, provoking a sublime and overwhelming affect: architecture appears as an eerie apparition from high above, a kind of abstract inspiration whose heavenly blue coloration and lack of shadow suggest that it is not of the physical here and now, but rather metaphysical to its core. This further suggests that architectural ideas emanate from a singular, coherent actuality. The cube evokes a Neoplatonic, universal, immutable, and absolute Form; in MVRDV's film, this metaform represents architecture in its most compact version--the architectural Idea. It seems to be the symbol of Alberti's description of the city as a big house. The imagery of MVRDV's film helps to unravel the significance of the sublime in contemporary architecture and allows for a better understanding of the current stage of modernity. The choice of MVRDV's visual rhetoric is not unprecedented; Rene Magritte is an obvious antecedent of the surrealist attempt to manifest the unheimlich imaginary of nature's underlying architecture. In Magritte's 1938 painting The Marches of Summer, the same motif of the cube structures the blue sky as if constructing a tectonics of the imaginary. The visual dialogue between the fluffy clouds and the cubic pieces of heaven has been used to draw analogies between Magritte's artistic vision and the characteristics of a weather phenomenon. "It's Magritte weather today," exclaimed Max Ernst when he suggested that Magritte's uncanny phenomenon defined itself through an "other" logic--a logic Ernst attributed to poetry. Ernst's proclamation inspired literary critic Pere Gimferrer to observe that "Magritte is, in fact, a sort of 'weather,' and even a whole climate--a propensity of thought, perhaps what some might call a state of mind--a world or an atmosphere." 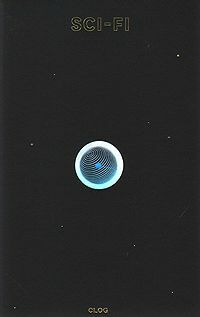 In this sense, Magritte's sublime evoked the same cosmic metaphors as an early architect of the sublime, Ledoux, had when he represented the elevations of his necropolis in Chaux as celestial globes or planets seen through clouds. Not unlike MVRDV's otherworldly cube, Ledoux felt that the true character of his project had to be communicated symbolically; the spheres suggested, as Emil Kaufmann pointed out in Ledoux's project brief, that "whoever approaches it shall face an image of nothingness, a vision of the void--'l'image du neant.'" But what is proposed by the interpretation of Magritte's weather, however, is that in his paintings we face an epistemology attributable to doxa, a realm of cognition based on superstition or common belief, as opposed to episteme, which is based on knowledge, method, or science.